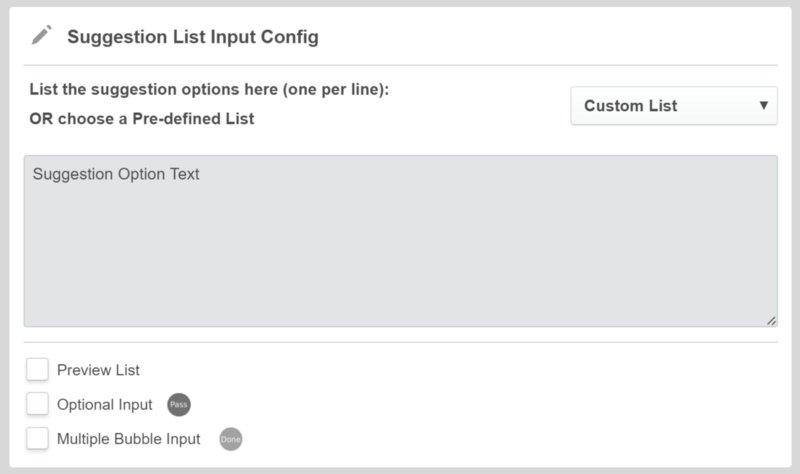 The Auto-Suggestion UI marries the best of both unstructured and structured data. The concept is simple. 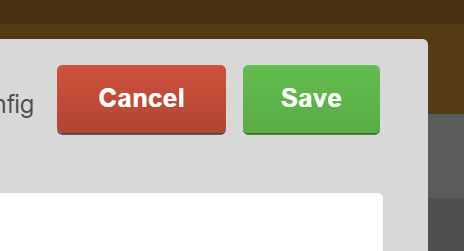 Provide the user with a text input field, and as they type, a dropdown menu with potential responses appears. It is perfect for when you have too many options to use buttons but at the same time do not want to sacrifice the quality of your data. For example, if you are asking a user which neighbourhood they live in to ship something to them, I am sure there are too many neighbourhoods in any city to use buttons but at the same time, you would absolutely need the spelling of the neighbourhood to be correct(to print shipping labels for example). How to use this UI? First up, open up the bot in which you want to use the Auto-Suggestion UI (of course). Underneath the box you can see certain checkboxes. Optional Input and Multiple Bubble input are standard for all input UI in TARS (check out the help doc on those two over here if you do not know what they do). The Preview List option however, is unique. 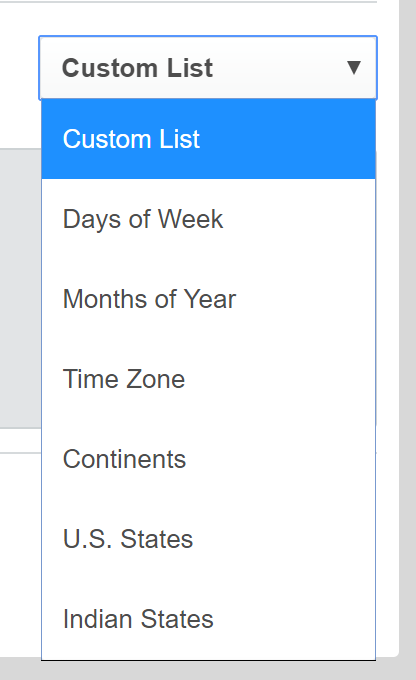 Toggling this option on or off decides whether the dropdown menu with the options defined above, shows up automatically or only once the user starts typing. Over here you can choose from a set of predefined lists to save time typing.